Product prices and availability are accurate as of 2019-04-12 07:10:19 EDT and are subject to change. Any price and availability information displayed on http://www.amazon.com/ at the time of purchase will apply to the purchase of this product. 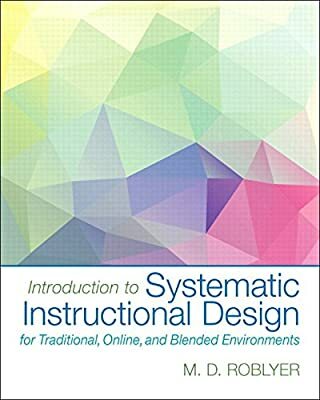 Introduction to Systematic Instructional Design for Traditional, Online, and Blended Environments provides an accessible introduction for instructional design novices. The book updates traditional, ADDIE-based approaches (named for the five-step Analysis, Design, Development, Implementation, and Evaluation sequence) to make them relevant for designing today’s in-person, multimedia, and distance learning environments. 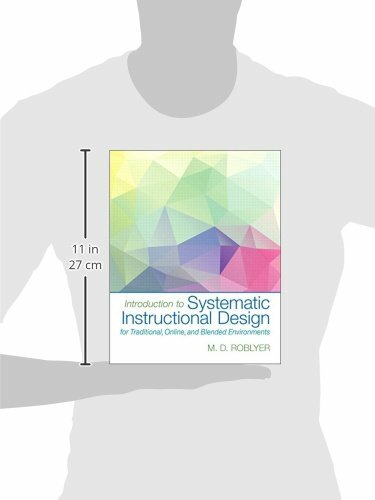 The book’s features reflect characteristics that make it uniquely useful among other texts on the topic in that it supports instructional design novices, updates design to address new technologies, illustrates design for online and blended learning environments, and asks that students create their own instructional design projects as they move through the text. The Enhanced Pearson eText features embedded audio, Check Your Understanding exercises, and interactive quizzes. Affordable. Experience the advantages of the Enhanced Pearson eText along with all the benefits of print for 40% to 65% less than a print bound book.